The National Association of Tower Erectors (NATE) announced today the release of a resource document entitled Unmanned Aerial Systems Operations Around Vertical Communications Infrastructure. 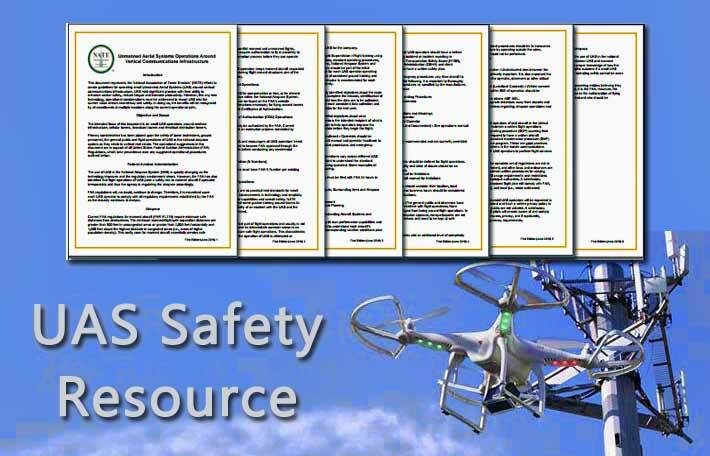 The safety document, available here, is a by-product of collaboration between the NATE Unmanned Aerial Systems (UAS) Committee and other prominent representatives from the commercial UAS industry. The resource represents NATE’s efforts to educate the wireless infrastructure industry and create guidelines for operating small UAS. The intended focus of this document is on small UAS operations around wireless infrastructure, cellular towers, broadcast towers and electrical distribution towers.